We fiiiiiinally tried out Blue Moon Diner in Donald Ross Village and I’m so glad we did! I love having breakfast spots and this is now on the list. Maybe it took so long because there is always a major line out the door, which makes sense because the food was super yummy. It’s a pretty small place with maybe 10 tables inside and a handful outside. The menu is full of classics like pancakes, waffles, egg plates, omelets, etc. which is perfection as far as I’m concerned. I went with the Short Stack of Pancakes with an egg and some bacon and the bottomless coffee. 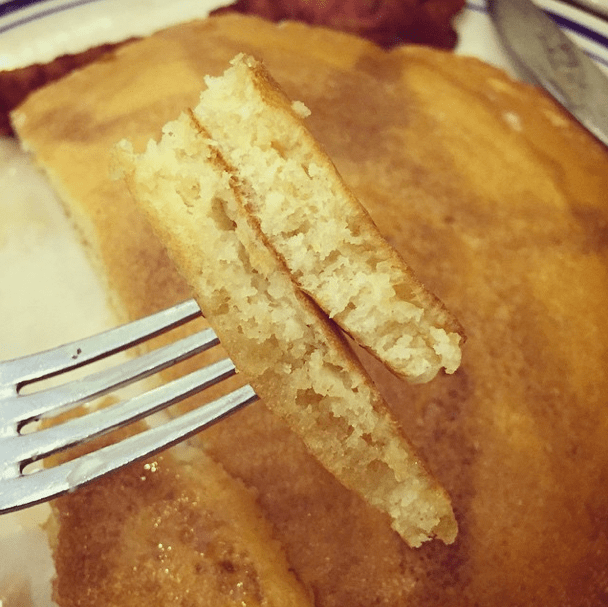 The pancakes were light and fluffy and the bacon was cooked just the way I like it – a little crispy. The hubs went with the Colorado Omelet which was packed with goodies and came with a side of Home Fries. I had a bite and it was delicious. Fair warning, there are peppers and whatnot in the home fries so if that’s not your thing maybe steer clear. We’ll definitely be back. I’m a sucker for breakfast and they know how to do it.